I’m sure you’re all scratching your head while contemplating this vitally important question. And I can relate to your cluelessness as Liege is a city that usually doesn’t make the top of a traveler’s bucket list. But Liege taught me to never underestimate an under-the-radar destination. It may not be as big or flashy as more renowned places, but discovering the hidden gems of a city can be a pleasure in itself. My surprise was all the bigger as I stumbled upon a railway station designed by a well-known Spanish architect, a never-ending stairway, and a photographer’s paradise that I had entirely to myself. I only had an afternoon in Liege, and as it so often turns out in traveling, in the end I was sad that I hadn’t had more time to explore the city (and nobody paid me to say that). Liege is the third largest city of Belgium, and is situated along the river Meuse (Maas) in the mid-eastern part of the country. Its population is about 200.000 inhabitants, and it is mostly part of the Walloon community. As some of you may know, Belgium is divided along language lines, with the Flemish (a version of Dutch) -speaking population in the north-east, and the Walloon (French) -speaking part in the south-west (and a small German-speaking minority). Liege is the alleged place of birth of Charlemagne, King of the Franks, then crowned Emperor, and the founding father of Central Europe (8th century). Another famous inhabitant of the city was Georges Simenon (1903 – 1989), the creator of the fictional detective Jules Maigret. Liege used to be one of the most important industrial centres in Europe, mostly due to its steel-making facilities. But the industrial sector has been in decline since World War II, and the region became impoverished. It is said to be on its way to recovery, due to a more diverse economy. Now I’d like to show you what lovely places I discovered in Liege. As we only had a few hours in Liege, we wanted to have an overview of the city and its sights. And the best way to do so is taking a one-hour ride in the Touristram. It starts from the main square, Place St. Lambert. This is St Lambert Square (Place St. Lambert), which is the main square in Liege. The square used to be home to an enormous Gothic cathedral, dedicated to the martyr Saint Lambert of Maastricht, who was assassinated in Liege (a. 705). In the wake of the French Revolution, the cathedral was demolished by the citizens of Liege. The metal columns in the square mark out the cathedral’s former outline. The stately building in the square is the former residence of the Prince-Bishops of Liege, which were the rulers of the city from 985 to 1794. The original palace was built at the end of the 16th century, yet the principal facade on the south was rebuilt after a fire in the Louis XIV-Regency style. The Palace of the Prince-Bishops is today used as a courthouse and is the seat of the provincial government. Place du Marché is a lively square lined with sidewalk cafés and beautiful old houses. It is adjacent to Place St Lambert. Opposite Place du Marché is the Baroque City Hall, which was completed in 1714. The nice cafés in the square are a perfect place to have a rest, but I felt a bit appalled by the big waste containers alongside the sidewalk. 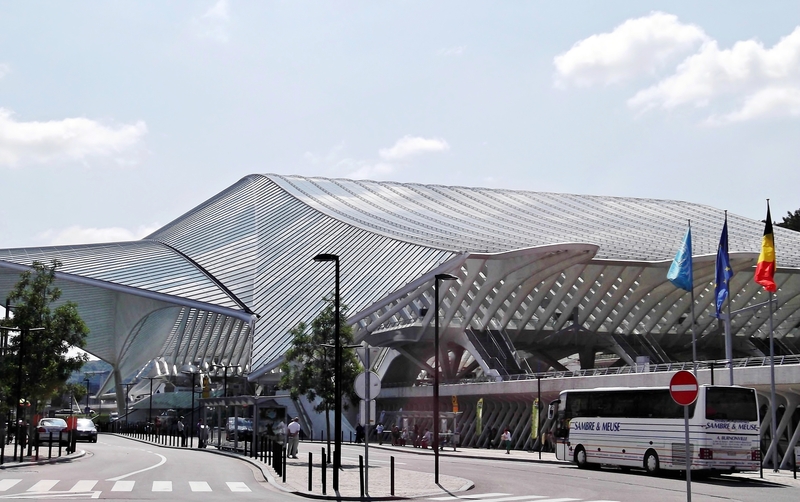 When I traveled to Brussels or Paris by train, I always passed through the Liege-Guillemins railway station. And I was impressed. I didn’t have the opportunity to get off the train at the time, but I always wanted to come back and visit this station. And my first impression wasn’t deceptive, this building is indeed stunning and remarkable. It turned out to be a design by the renowned Spanish architect Santiago Calatrava, completed in 2009. It is made of steel, glass and white concrete, and combines organic shapes and geometrical patterns. 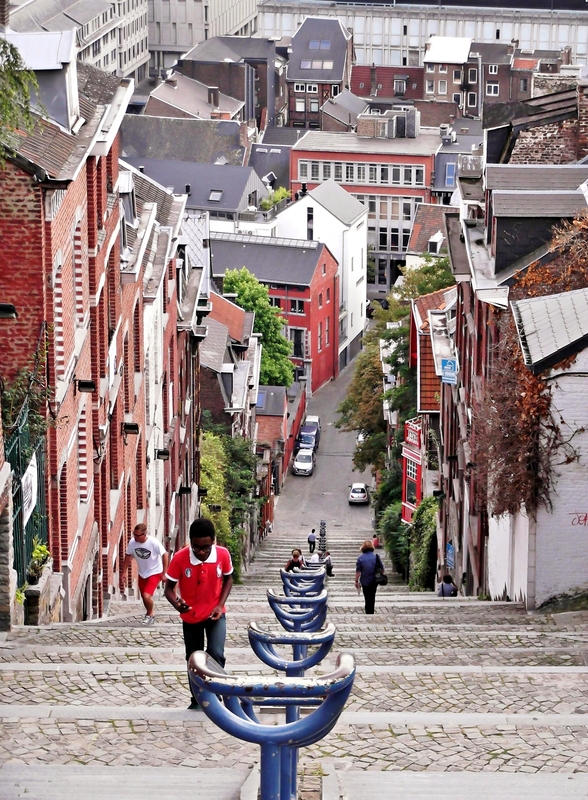 Liege is nestled against a lush hillside in the north, which was once crowned with a hefty Citadel. It wasn’t entirely demolished until the 1970s, as a hospital was erected on the site. Where the northern walls of the Citadel once stood, is now a memorial to the Belgians who were executed by German occupiers in World Wars I and II. This memorial has become an observation point overlooking Liege. And the ascent is worthwhile in itself, as it leads you through the most ancient alleys of the city. The following photos show our way to the top of the hill. 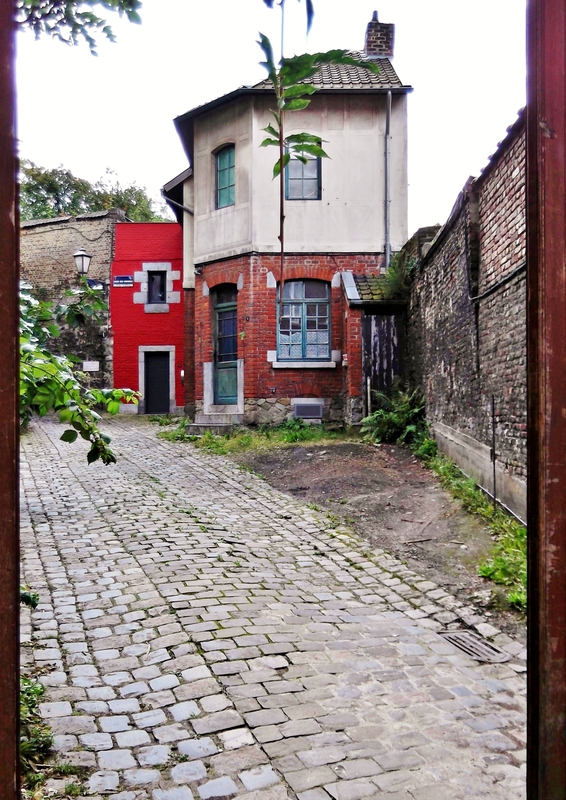 Rue Pierreuse is one of the most picturesque alleys in Liege. The street was first mentioned in the 8th century. 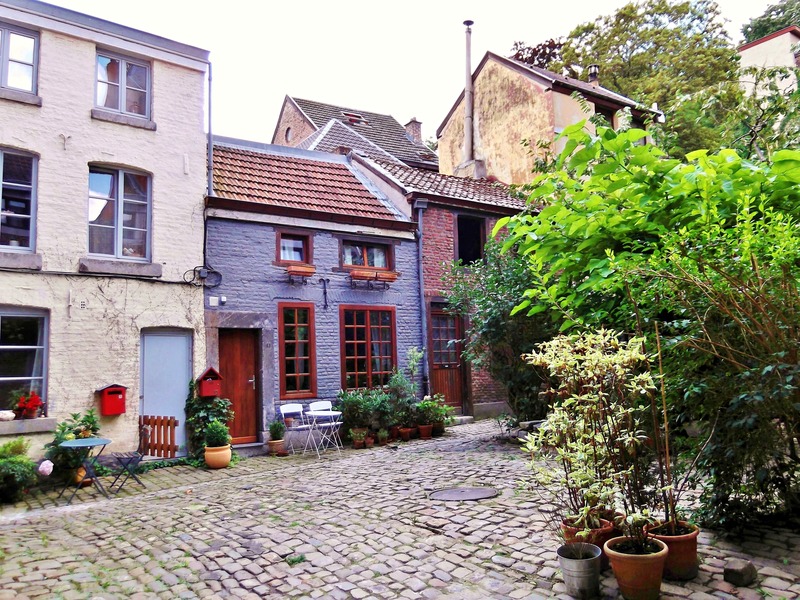 Along the way, we passed little courtyards like this one: Cour des Minimes. Then you have to go up a stone stairway, the so-called L’Escalier du Péri. We finally reached the top of the hill. 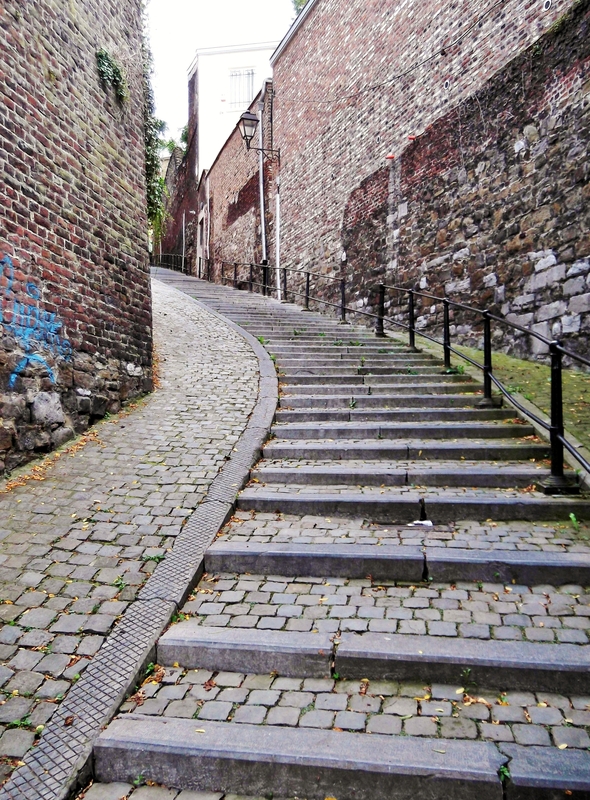 The stairway has 374 steps, leading down to the Hors-Château street, with an inclination of 30%. The stairway was completed in 1880 in order to enable the soldiers, who were based at the Citadel, to get quickly to the city centre in case of an invasion or insurrection. And rumour has it that the soldiers were forbidden to take the Rue Pierreuse downhill because the street was home to pubs and brothels. Tip: I highly recommend to wear flat shoes while going down this stairway. It consists of uneven cobblestones, and one can easily underestimate the inclination. As the city is hilly, and parts of it consist of cobblestoned alleys as well, flat shoes are generally advisable. We arrived safely on Rue Hors-Château, which means the Street Outside The Castle in English. And the name indicates its history: On its creation in the 11th century, the street was situated outside Liege’s first fortification. Later in the 19th century, the area around Rue Hors-Château and its parallel street En Féronstrée had become a neighbourhood popular with the local gentry and religious institutions. These days, you’ll find a lot of houses dating from the 17th or 18th century, predominantly in the regional so-called Mosan (Maasland) Renaissance architectural style. But the actual reason for mentioning this street is that I found a photographer’s paradise here: The so-called Impasses (blind alleys). Several adorably picturesque, narrow and cobblestoned alleyways branch off the Rue Hors-Château. We felt like entering a world of its own, enchanted and otherworldly, and we had this little paradise to our own. In fact, we were the only tourists roaming around. The alleys were lined with actual houses, more or less restored, who would we meet there? We wouldn’t have been surprised if Snow White and the Seven Dwarfs had shown up in one of the doorways. And now, come in and explore the hidden world. The plate reads Place des Amoureux (The Lovers’ Square). The bench was so worn-out and shaky, a lot of lovers must have sat here. Would you like to follow KLEESBUTTERFLY – A TRAVELBLOG on other social media sites? I’d be glad to meet you there! Beautiful article and photos! You really do make the place come alive! Thank you so much, I really appreciate your words! My daughter spent a year in Liege on a Rotary International Exchange (1994-95) and I visited once when she was there and once, with her, a couple of years later. The downtown around Place St. Lambert had been dug up for years. I’m glad to see they finally finished it. What a lovely tour your photos provide; thank you. You’re welcome, I was surprised how nice the city was and what I discovered there. And they have a lot more sights, I just didn’t had more time. Have you ever been on the Sunday market La Batte (along the Meuse)? Yes, we went to La Batte. But the most fun of all was going to carnival in Stavelot (admittedly, not in Liege itself) known as the Carnaval de la Laetare des Blancs-Moussis. On the fourth Sunday of Lent, some 200 local white-clad men (the Blancs-Moussis) wearing masks with long red noses parade through town throwing confetti and beating up bystanders with dried pig bladders. Sounds fun 🙂 And I’m from mid-western Germany, I know a thing or two about Carnival. So many lovely photos I don’t even know where to begin with the compliments. What I can say is that I am totally sold on Liege! That’s a good thing 🙂 Liege is a city that isn’t that flashy at first sight like Ghent or Bruges. One has to find the gems. But then – I was surprised myself. Please come back (in summer, like you did, best choice) and light up other places with your camera: Jardin botanique with everybody having a drink in the grass, the Island Outre-Meuse and its old neighborhoods, the many many many pubs from old classic ones (Maison du Peket, Taverne Saint Paul) to the new young ones (Pot au Lait, WarZone, Far West, …), the many cultural places that has been rebuilt (Piscine Sauvenière > Cité Miroir & Reflektor; Cinéma & Brasserie Sauvenière, Musée de la vie Wallonne, Le Grand Curtius, the former prison > Square St Leonard), the many churches and cathedrals (St Paul, St Martin, St Phoelien, etc.) and if you have time, why not take the 48 bus to Sart Tilman and enjoy the Outside Museum wich is a collection of artworks along a walk tour in the forest and the university domain? Hit me up if you want me to show you these places one day! Thank you so much for your tips! I only had one afternoon in Liege, so I know that I have missed a lot of places. I think Liege is a lovely city, maybe less flashy at first sight than Ghent or Bruges, but I was surprised what it has to offer. I hope I can return one day and have a second look! Wow what a beautiful city! Thanks for your post! It truly is a photographer’s paradise. Wonderful pictures. 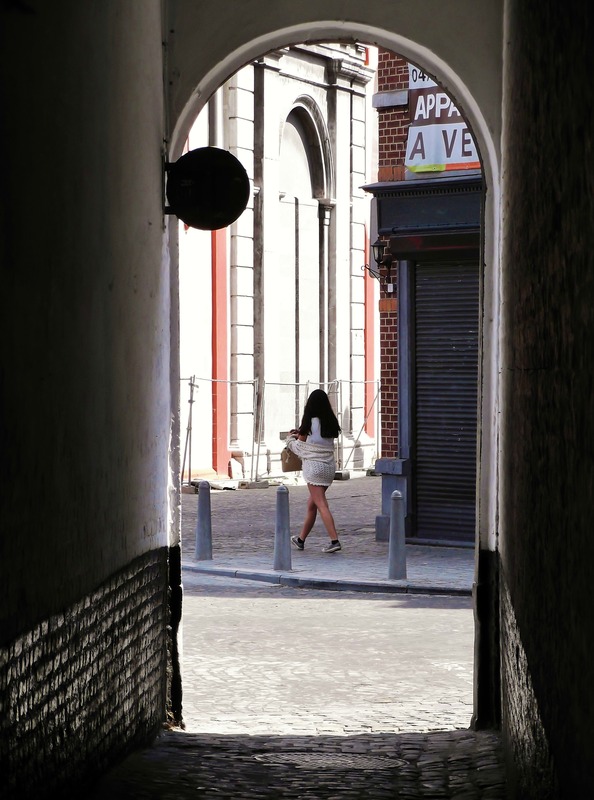 I agree with you, Liege is surprising in many ways, and tourists should be more aware of it. Wonderful pictures. 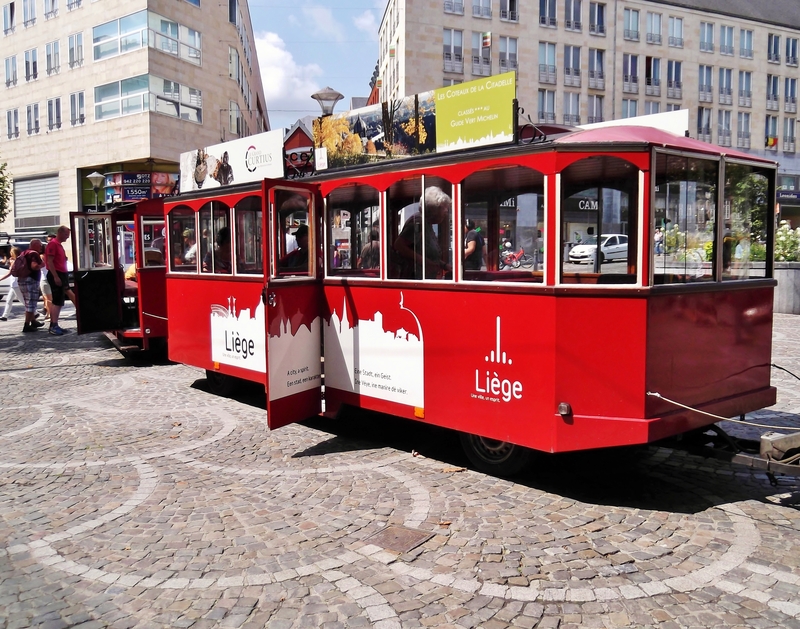 I agree with you, Liege is a surprising city and tourists should be more aware of it. Thank you so much for your article about our city ! I work for the tourism office and it’s a real pleasure to see that foreigners acknowledge the peculiar beauty of Liège. We would like to use some lines of your article in some of our publications, quoting you and your blog in copyright. Would you agree to that ? 2. If you use it online, please indicate my blog’s name AND a link to my blog. 3. If your publication/site is online, please send me a link to the site. For your information, your article is in today’s local newspaper ! That’s great! Could you give me a link to your local newspaper or its name? Hi! Great post and gorgeous photos! You’ve made me quite nostalgic for Liège! I went for a 10 month stint as an Erasmus exchange student, and ended up staying 8 years!!! Of course you lucked out with the weather, it’s quite different when it’s grey and raining, but I’m glad you got such a lovely day for your visit! You’ll have to go back and try out the food though, there are fabulous places to eat and drink in town!!! Plus the churches, did you go inside any of the many Gothic churches? Some real gems there! Thank you for the compliments! I’m quite aware that I missed a lot of places in Liege, but I only had an afternoon there. There is still so much to see, a pub crawl and the La Batte market. Unfortunately, I didn’t have any time for the museums or churches. I hope next time! It’s lucky you went back and could share this lovely place with us. It’s often the way that unexpected pleasures can be found in less well known areas. Gorgeous photos. Thank you! I’m lucky, my post went sort of viral in Belgium, I have the most page views I’ve ever had (and will ever have again probably). The inhabitants and the city of Liege are lovely, and I was lucky with the weather, so the pics mirror that. 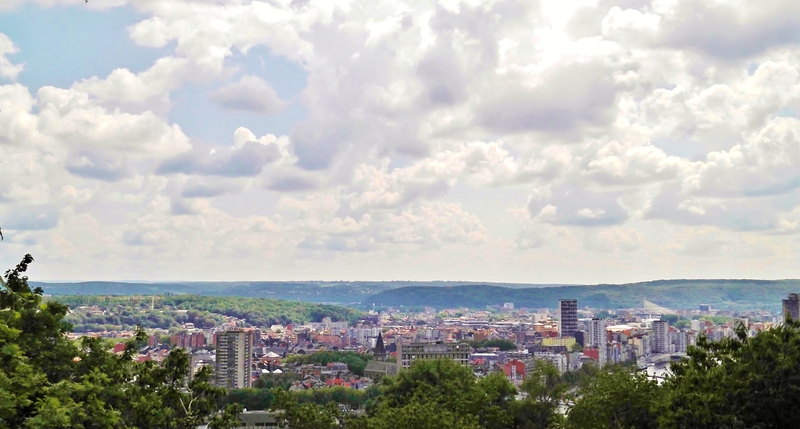 Actualy, Liege is the fifth biggest town in Belgium (after Brussels, Antwerp, Ghent and Charleroi). But really great job, i do love my city and you made it shine. Sorry, so I had some wrong information 🙂 But I’m glad that you liked it. Dear KleesButterfly, you really did a wonderful job describing my city. It’s a pity you stayed just a few hours and so didn’t find the time to meet us, the inhabitants of Liège. We are known to have a big heart and to wellcome everybody with affection. Thank you for your kind words! I hope to come back sometime and get to know more of Liege (and its inhabitants). If you’re interested, I can send you some photographies of the city. Thank you for your kind offer. If you want to share them with me, go ahead! It would be nice to have a look at the sights that I have missed. Where can I send you my photographies? Excellent description, I wouldn’t have been able to describe it so well ! Merci beaucoup pour votre commentaire. J’aimerais bien revisiter votre charmante ville un jour! That’s really fun, I’ve never expected that. I have the impression that Liege doesn’t get a lot of affection, and that les Liégeois are happy that their city is not bashed this time. I’ve heard about the Nocturne, it must be beautiful to watch! Flemish is not ‘a version of Dutch’, nor a language in itself. It IS Dutch. Compare it to UK English vs US English. Thank you for your comment, I wasn’t aware of that. I found this information online. But why is it called Flemish then and not Dutch? Le flamand en tant que langue n’existe pas. En fait, il y a une multitude de patois flamands parfois très différents l’un de l’autre, au point que, d’un coin à l’autre de la Flandre, les gens ne se comprennent pas. La langue véhiculaire et officielle de la Flandre est le néerlandais. Flemish is colloquial for the type of Dutch spoken in Belgium, but it also has a political implication. French speakers in Belgium will rather use ‘le flamand’ than ‘le neerlandais’, as to indicate it is an inferior language form, a ”patois” that has nothing to do with Dutch, as an attempt to marginalize the language. Eric Nicolet’s comment strikingly illustrates this fallacy, people from different regions in Flanders can understand each other just fine, although they do have different accents. What he fails to mention is that the same situation exists in Wallonia, where people from Liege and Brussels will have different accents as well. Brussels, I might add, was a de facto Dutch-speaking city until after the independence of Belgium, when the Belgian bourgeoisie imposed French as the standard language, this is known as the Francization of Brussels and implied heavy cultural racism towards the Flemish, their language and their culture. 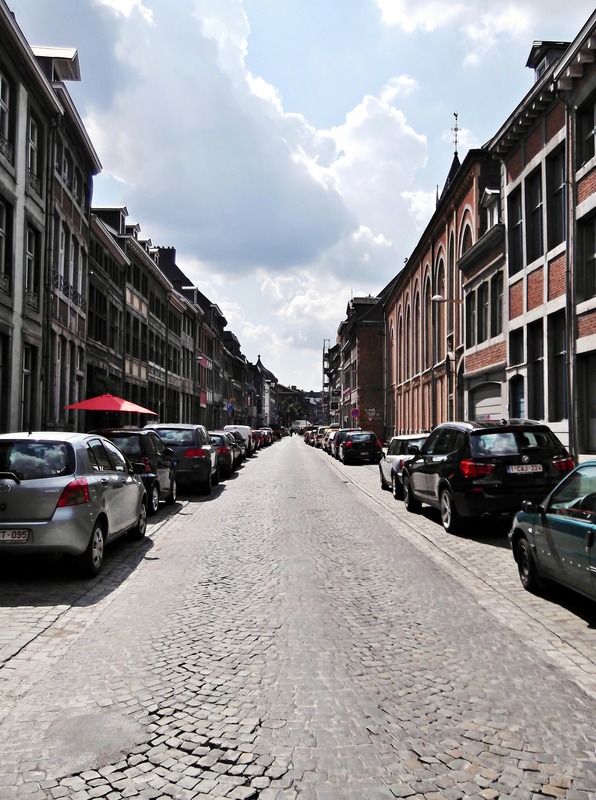 If you have travelled to Brussels, you might have noticed that the municipalties do not exactly have French-sounding names: Molenbeek, Schaarbeek, Anderlecht,…all of these can be traced back to the Dutch-speaking orgins of Brussels. Thank you very much for your detailed explanation! That’s very interesting. I knew that the language dualism in Belgium has political implications as well, but it’s sometimes difficult for non-Belgians to understand that. Do you know why French was imposed on Brussels’ population after the independence? Was it because French became the language of the gentry (imitating the 17th century courtoisie in France)? Well, I really would’t mind explaining but if you want the full story, Wikipedia has quite a good description of how this came about, see http://en.wikipedia.org/wiki/Francization_of_Brussels. Also, this is relevant in today’s politics, since Flanders has some municipalties adjacent to, but not pertaining to Brussels with special language facilities for French speakers. 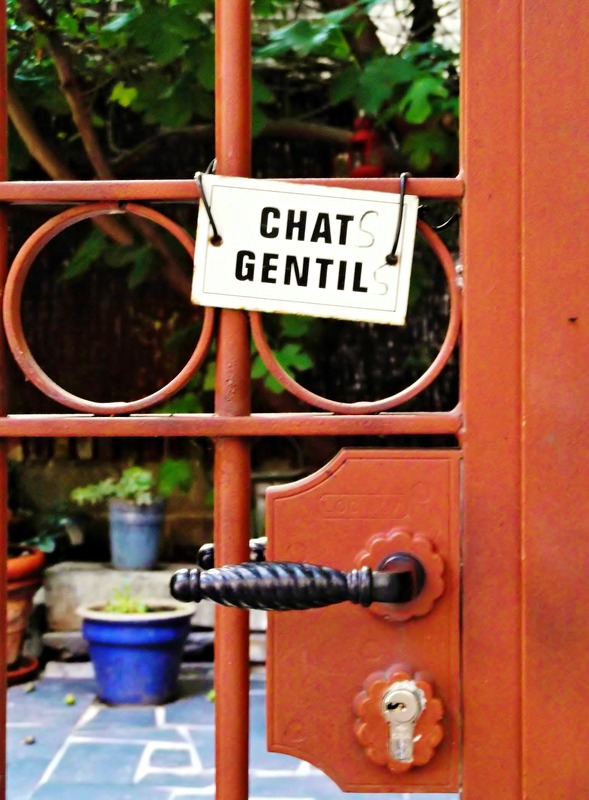 The initial goal was to faciliate the integration of French speakers in these Dutch-speaking communities. What happened was that they did want not adapt to their new surroundings since they consider these municipalties as an extension of Brussels, although they form an integral part of the Flemish community. The end result is that some of these communities are now predominantly French-speaking. Some extremist parties like the FDF have called for an annexation of these communities by Brussels, but that will never happen in the current political constellation. 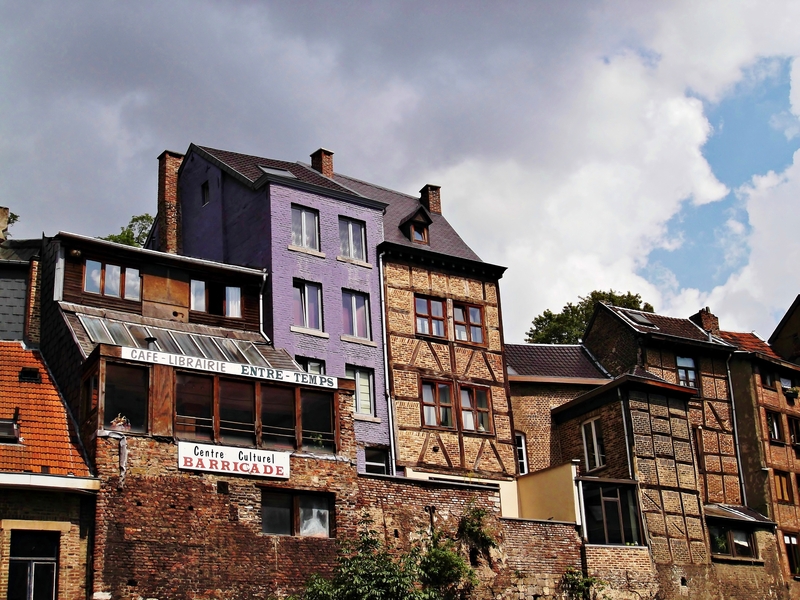 The other way around, numerous Flemish families have relocated to Wallonia because of cheaper real estate prices, but they usually respect their new surroundings, speak French and adapt quite well without kicking up any political fuzz. Thank you for trying so hard to explain this to an outsider, it’s really complicated but interesting! thank you for introducing this wonderful city! While I knew where Liege was, I had no idea it was so lovely. Photos of the staircase are stunning. Thank you for this superb article! You’re welcome 🙂 I spent a nice afternoon in Liege, and I’m happy that you liked my post! Hi! Funny situation, I’m living in Liege but I’ve been in love with german cities for years. After coming back from an Erasmus stay in Göttingen, I had difficulties to see the gorgeous in Liege again. Your pictures surprised me. Thanks for the good view you gave on our city! You’re welcome! Germany has very beautiful cities, that’s true! As a tourist, I did some research on Liege before I went there, and I found that there are a lot of interesting places to visit. I just had one afternoon in Liege, so I could only scratch the surface. Your Montage de Beuren is exceptional, I don’t know any other city in the world which has an open air stairway like that. And the impasses were so lovely! I read a lot of info leaflets by your Tourism Office, I think they are not advertised enough. They are an asset, tourists should be more aware of it. Really nice shots! I’ve only been in Brussels, but you made Liegi look nicer to me. I hope you got the chance to eat at least an original waffle! Hi…your post is beautifully written and your images are outstanding. I’m a novice blogger and see I have a long way to go in producing work to such a high standard. Last year I travelled around Spain looking for a home in the sun and what was originally a two week holiday turned into a ten month exploration of travel, communities, photowalks, architecture, culture and photography. I’m hoping to give an insight into the many destinations I connected with living like a local, however, I didn’t make notes and it’s difficult to remember everything…haha Your blog is truly inspirational! Thanks! But I’m a constant theme-hopper. I would already love to change it again, I found something better. But as my theme now is a Premium theme, I don’t want to change/pay again. Gosh! What a gorgeous place, I felt I wanted to step right in to your pictures.. which are stunning by the way! Wow … definitely a place I would love. Where is it? Looks like it’s in heaven! Wonderful post and beautiful pics! In Belgium. 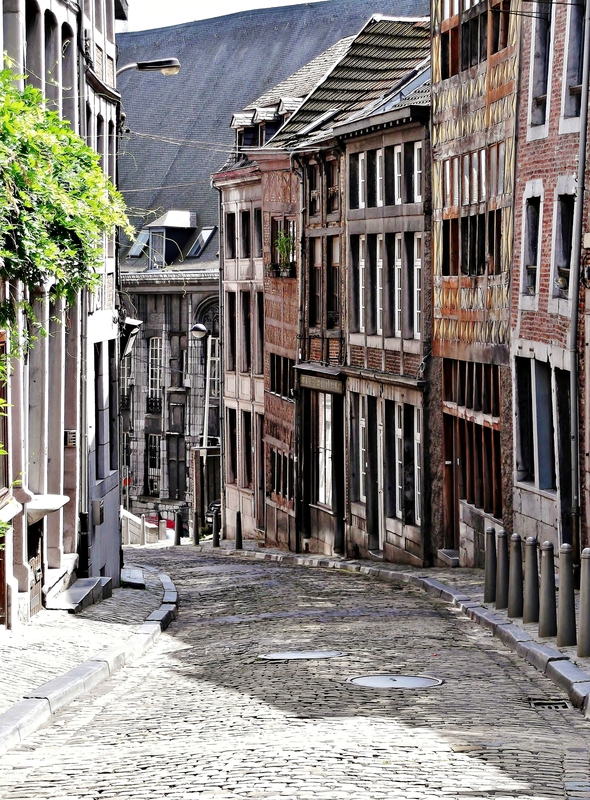 Belgium has many picturesque cities, Liege is one of them. Oops! I was being sarcastic. Sorry! It does look like heaven to me! Beautiful city! I really did not know where Liege was before this. Thank you! I really enjoyed my trip to Liege, it is definitely worth it. And you’re right, it’s fun to discover lesser known destinations, we were surprised at what lovely places we found.